Located within 3.4 miles of Midtown Mall in Bitez, Bitez Kaynak Apart provides accommodations with free WiFi. Every unit features a satellite flat-screen TV, a fully equipped kitchen with a toaster, and a private bathroom with a shower and a a hair dryer. There's also a fridge, stovetop and an electric tea pot. A terrace is available on site and snorkeling can be enjoyed within close proximity of Bitez Kaynak Apart. Milas Airport is 27 miles away. 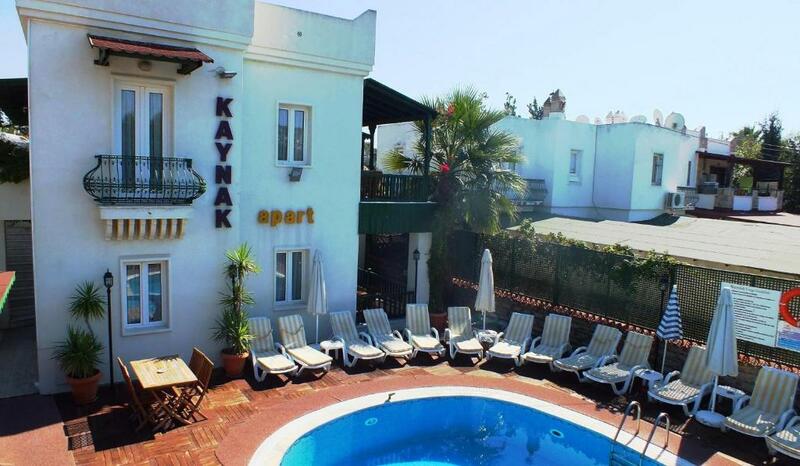 When would you like to stay at Bitez Kaynak Apart? 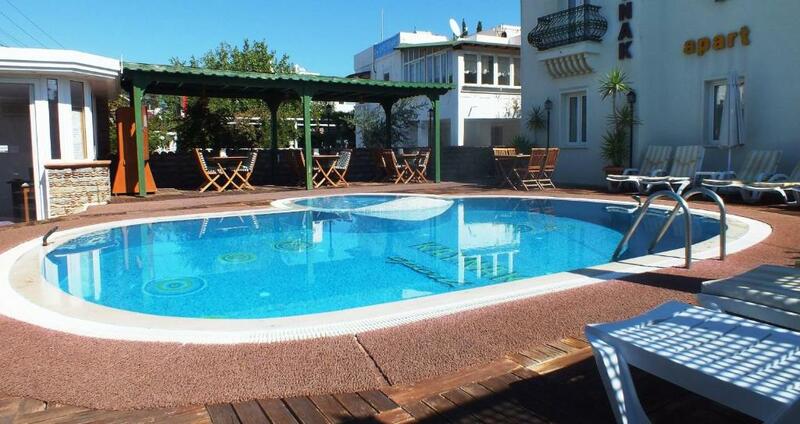 Just a few steps from the beach, these friendly holiday apartments are in the heart of beautiful Bitez. Bitez is located on the Bodrum Peninsula in a charming bay bedecked with excellent restaurants, friendly family eateries, mellow bars and alluring craft stalls. 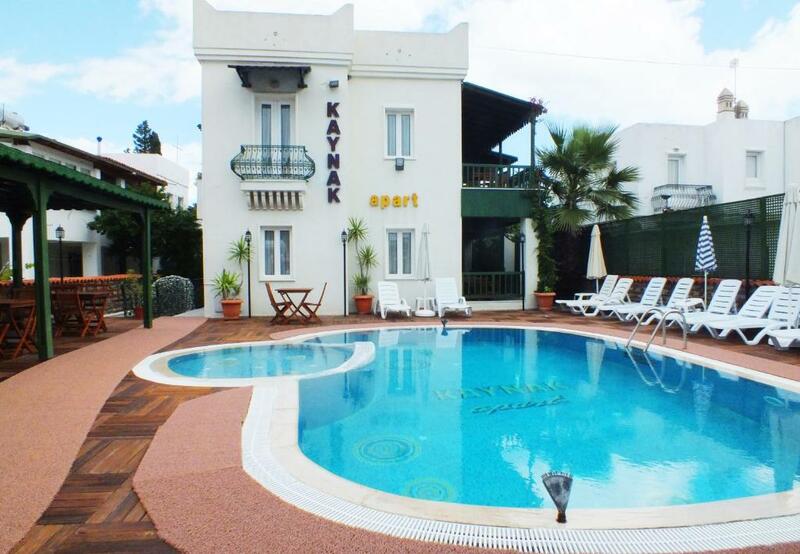 Located just steps from Bitez Beach, Kaynak Apart is small and friendly with 6 apartments and a good size swimming pool. 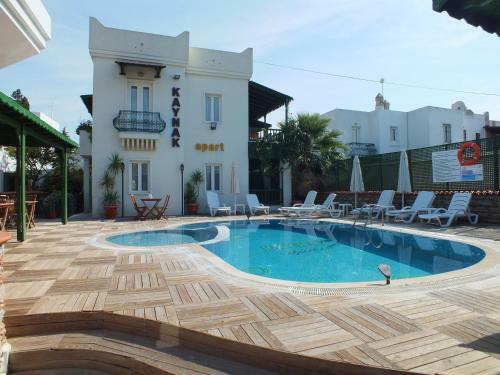 Kaynak apart is right in the centre of Bitez and handy for shops and a wide choice of cafes and restaurants as well as being just 30m from the sandy beach. 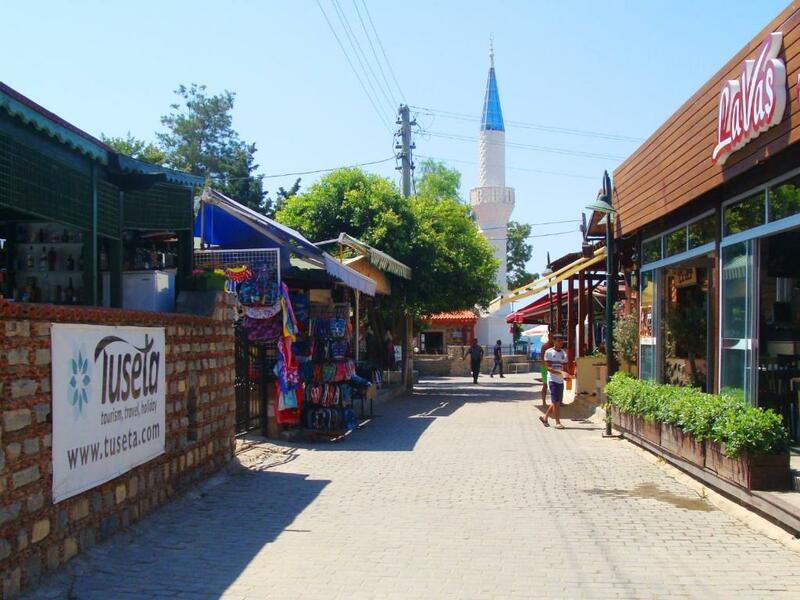 Bitez is located on the Bodrum Peninsula in a charming bay bedecked with excellent restaurants, friendly family eateries, mellow bars and alluring craft stalls. 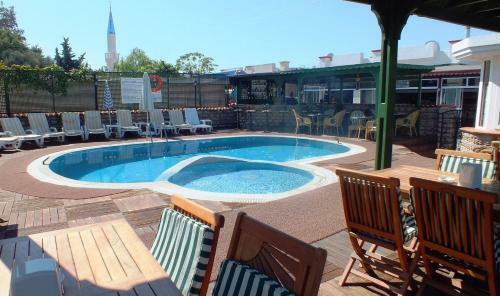 Located just steps from Bitez Beach, Kaynak Apart is small and friendly with 6 apartments and a good size swimming pool. 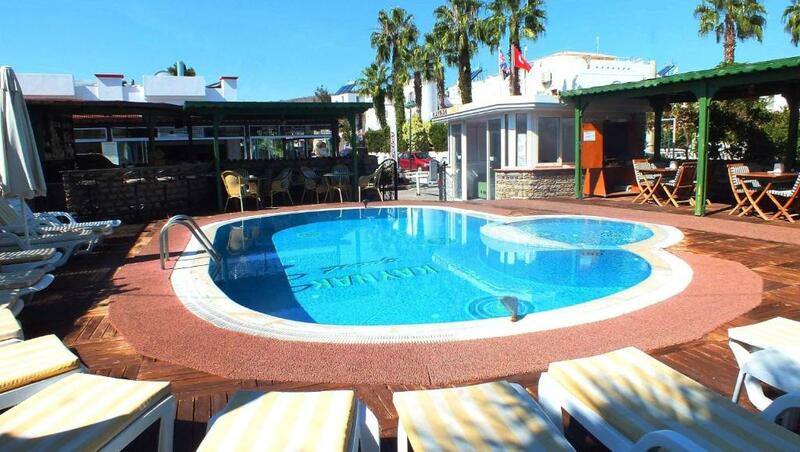 For further afield; the apartments are 6 km from the centre of Bodrum, 3 km from Gumbet and you can take a public minibus from in front of the door. There really is no reason to venture any further than the nearest sun lounger but for those that enjoy getting out and about, Bodrum Castle, the sleeping fishing village of Gümüşlük or the hustle and bustle of the largest local street market in Turgutreis are all a short bus or taxi ride away. A favourite of all visitors to the Bodrum Peninsula is the unique experience of a gulet cruise, lazing aboard these traditional wooden sailing yachts, hopping between bays each more beautiful than the last to swim and snorkel in the crystal clear waters of the Aegean Sea. House Rules Bitez Kaynak Apart takes special requests – add in the next step! Debit card Bitez Kaynak Apart accepts these cards and reserves the right to temporarily hold an amount prior to arrival. Bitez Kaynak Apart accepts these cards and reserves the right to temporarily hold an amount prior to arrival. Please inform Bitez Kaynak Apart of your expected arrival time in advance. You can use the Special Requests box when booking, or contact the property directly using the contact details in your confirmation. We need at least 5 reviews before we can calculate a review score. If you book and review your stay, you can help Bitez Kaynak Apart meet this goal. The location of the apartment was excellent. Close to restaurants and shops . It was clean . All facilities in the room you needed . The manager Gee was excellent . No problem was any bother . Not that we had any.